When living a low-impact lifestyle, indoor plants that purify the air and can be used around the house in different ways are a total no-brainer. Not only can house plants like aloe vera remove up to 87 percent of toxins in the air in under 24 hours, but they’re made of organic matter. 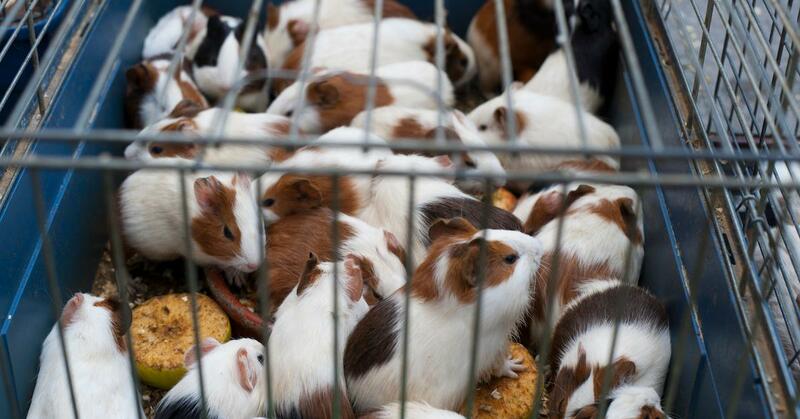 At the end of their lives, they can break down naturally in a compost bin. Not to mention, aloe vera is one of the most fascinating healing plants out there. It purifies the air of pollutants and yucky toxins, but it also can be used for beauty, hygiene, and taken internally to help with gastrointestinal issues, leveling out blood sugar levels, alleviating pain, and more. Check out some of the many, many ways you can use aloe vera in your home — and as part of your self-care regime — in the list below! All those beauty bloggers on Instagram coating their hair with aloe vera gel? They’re onto something! The healing properties in aloe vera can help with nearly any hair issue: From reducing frizz to livening up dry, dull hair; from eradicating dandruff to stimulating speedy hair growth, aloe vera can do it all. 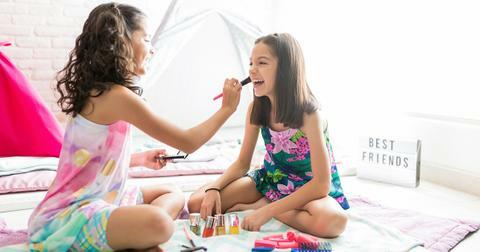 Aloe vera contains a proteolytic enzyme that conditions hair, leaving it both smooth and glossy. If you struggle with either dry or frizzy hair, using a conditioner with aloe vera might be the ideal option for you. Suffer from scalp issues? The fatty acids in aloe vera are anti-inflammatories and since dandruff is, at its root, an issue of skin inflammation, aloe vera helps with that as well. The enzymes also prevent itching and reduce flakes. The key to growing out your hair is to stimulate the follicle, which promotes growth. Aloe vera actually increases the blood circulation to the areas in which it is topically applied. With increased blood circulation, the follicle is less likely to see breakage or hair loss. Instead, aloe vera sends a message to the follicle: grow! The gel inside of aloe vera leaves contains antibacterial, antiviral, antiseptic, and anti-inflammatory properties that do wonders for the skin. Traditionally, aloe vera has been used to treat and alleviate the symptoms of sunburn, but really, it does so much more for our body’s largest organ. With high levels of antioxidants, enzymes, and both Vitamins A and C, topically applying aloe vera to the skin can treat burns, scars, and dry skin. aloe vera contains the component aloin, which naturally lightens dark spots on the skin, known as hyperpigmentation. Aloe vera not only reverses the effects of hyperpigmentation, but it also can improve dry, flaky skin, and treat oily, acne-prone skin. In fact, a 2018 study found that aloe vera improves the effectiveness of acne medications. It’s not just for sunburn either; if you suffer any type of minor-degree burn (like from a hair straightener or curling iron), or cuts, a dab of aloe vera can go a long way. 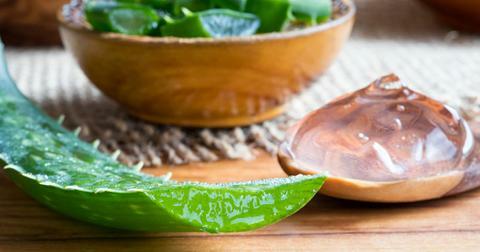 Aloe vera is a natural way to treat your cuts and scrapes. Similar to how aloe vera treats burns, dark spots, and acne, the household plant also is effective for healing wounds and alleviating skin conditions. Aloe vera can be applied topically to skin conditions like psoriasis and eczema. Thanks to the two plant hormones auxin and gibberellins, which contain anti-inflammatory properties, aloe vera can more quickly stimulate cell replication. With quicker cell turnover, wounded, injured, or cracked skin can heal faster. Aloe vera can also minimize your risk of infection. After all, one of the risks of living with untreated eczema is that it can develop into a staph infection. In fact, anywhere from 60 to 90 percent of people with eczema experience the development of a staph infection. (You can thank scratching an open wound for that.) But auxin and gibberellins’ inherent anti-inflammatory properties actively combat against infection, heal wounds quicker, and reduce irritation. While aloe vera is known in the beauty sphere for its skin- and hair-helping properties, we bet you didn’t know that it can also contribute to good dental hygiene. The centuries-old plant eliminates disease-causing bacteria that often live and thrive in the moist environment of the mouth. One 2009 study published in Science Daily found that brushing teeth with the gel of an aloe vera plant is equally as effective (if not more so) as commercial toothpaste brands. Aloe latex contains chemical compounds called anthraquinones. Anthraquinones also have anti-inflammatory properties that can heal and alleviate pain, making aloe vera toothpaste a worthy alternative with people with sensitive teeth or gums. Aloe vera gel as a toothpaste does not contain the abrasive chemicals and additives found in most commercial brands, which is another reason why it’s great for those with sensitivity. 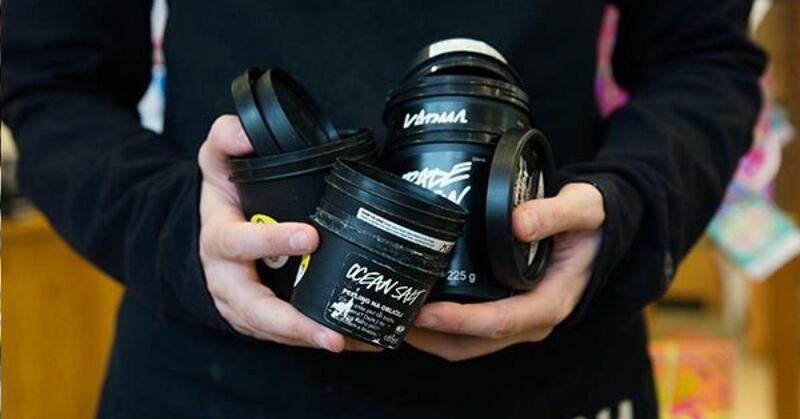 The return program is one of Lush's many sustainability initiatives.